Boxes, bags, & labels. Oh my! Whether you are using an online printer like Moo, Sticker Mule, Lumi, or want a complete custom experience we can handle it all. 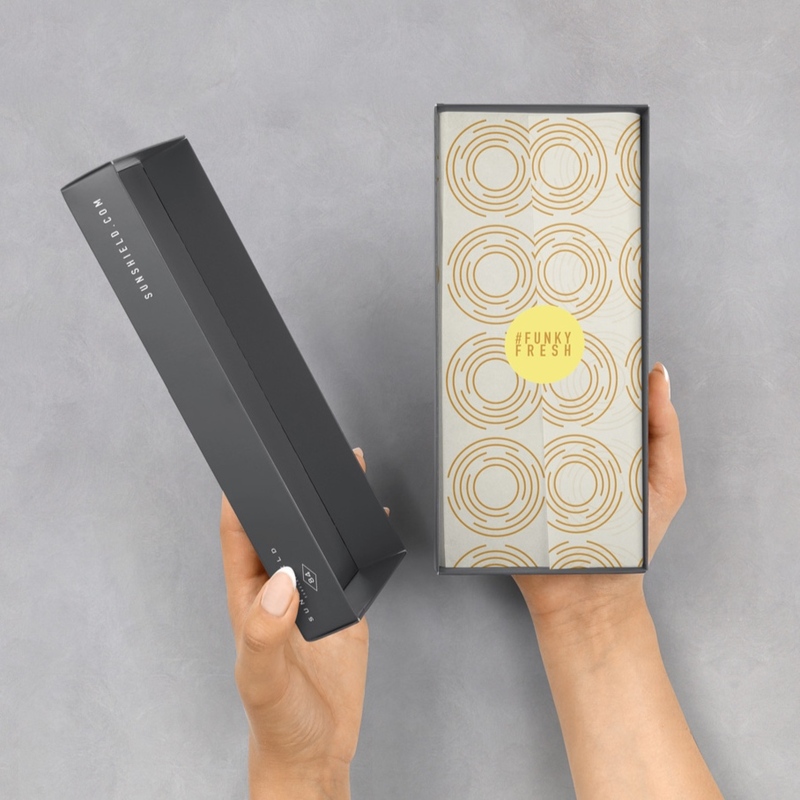 We design custom packaging and will find a printer that fits your unique needs. We can take a speedy approach or proceed at a steady pace, the choice is yours. We do our best to fit your timeline. It is all determined on how many packaging structures you want and what other services you need. No matter what, we make sure you are thrilled about the end result. Each brand is unique and that experience should continue throughout each touchpoint with your customers. Revolutionary brands understand brand consistency builds trust and you should have access to this too. We collaborate with you to bring your brand from screen to a magical unboxing experience. Make every shipment a grand opening. Not sure of what style you need? We have created an algorithm that can help determine the best style for your brand. It takes a few minutes but it is as easy as a Cosmo personality quiz. You select the products you would like designed and add them to your cart. Pay a refundable deposit upfront and fill out our new project questionnaire. You select when you would like to talk to one of our designers. We discuss the details and your business goals. We send you an updated quote to match your unique objectives along with a project timeline. We collaborate to create the perfect design solution for your brand. We send final files to a printer of your choice. When the final payment is made you receive all of the packaging files to take control over your packaging demands. We also offer ongoing support to reorder packaging on your behalf.